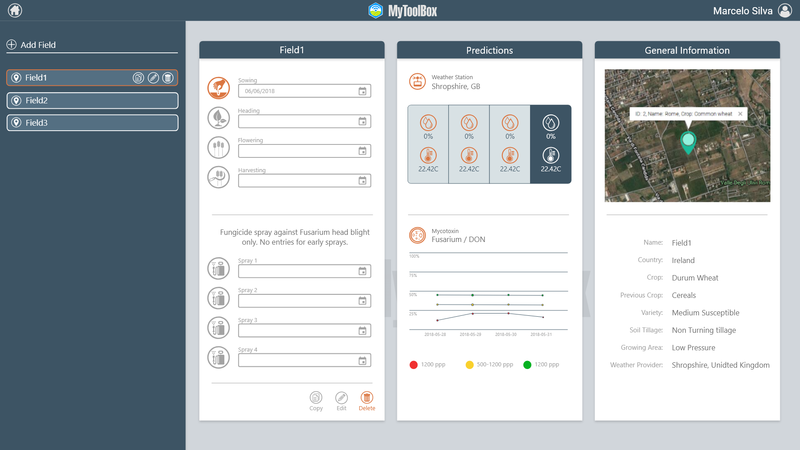 A Demo of the final version of MyToolBox e-platform mock-up has been presented during Vienna Meeting. Encompassing interactive management tools, decision support systems (DSS) and static information, the platform will become a cornerstone management tool for all actors within the cereals, maize and dried fruit value chains. Good Agricultural and Manufacturing Practices guidelines obtained from MTB research, together with Safe Use options for Contaminated Batches are being summarised to be included in the static part of the platform. Hazard Analysis Critical Control Point based protocols have been already implemented for establishing accurate and simple-to-use systems for pre-harvest management. The farmers will be able to assess the risk of their crops being contaminated by Fusarium/DON by providing general field management information and location. A DSS for grain stores and silo management is being integrated to receive and evaluate data from multiparameter sensing systems installed in the silos for CO2, relative humidity and temperature monitoring. 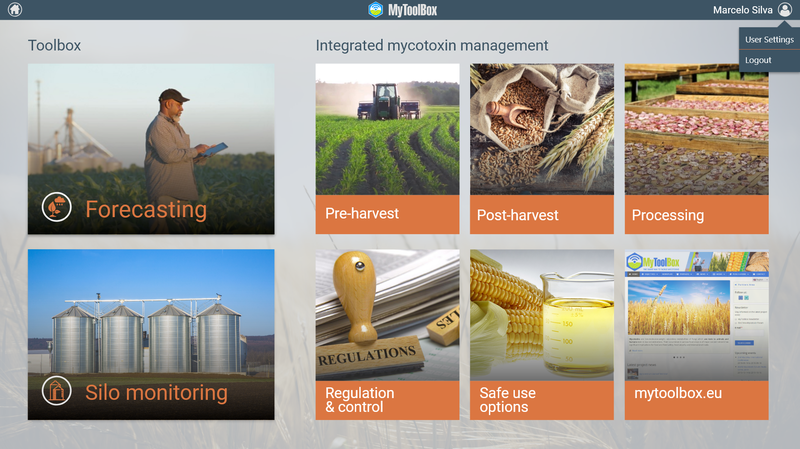 Parameters reading is already developed, while further integration of biotic mould spoilage and mycotoxins models will be integrated during the upcoming months.